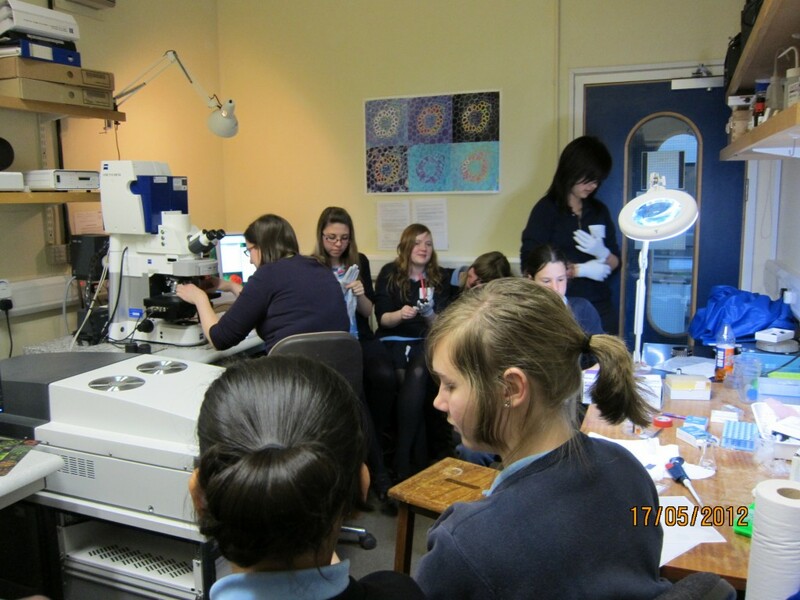 What happens when you let a small bunch of 14 year-olds loose with microscopes which are worth £250,000? 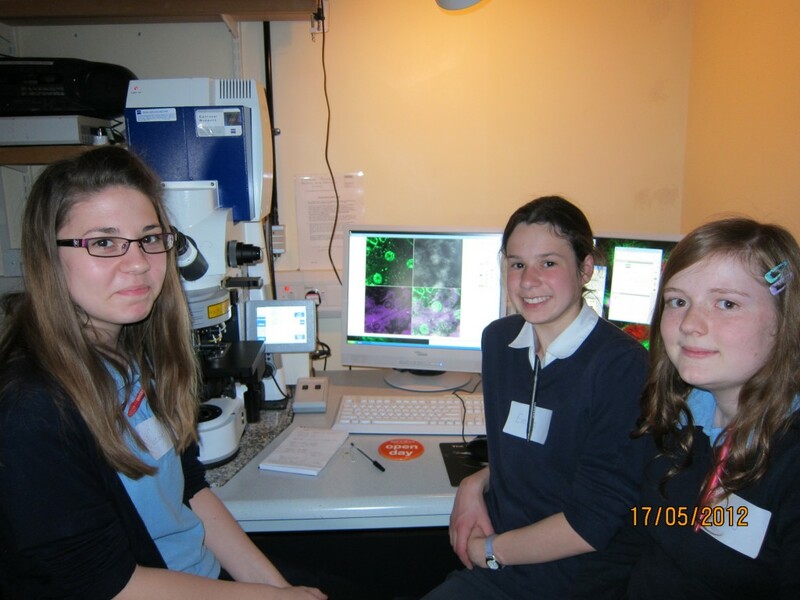 What happens when you let a small bunch of 14 year-olds loose with microscopes which are worth £250,000? We found out on Thursday 17th May. 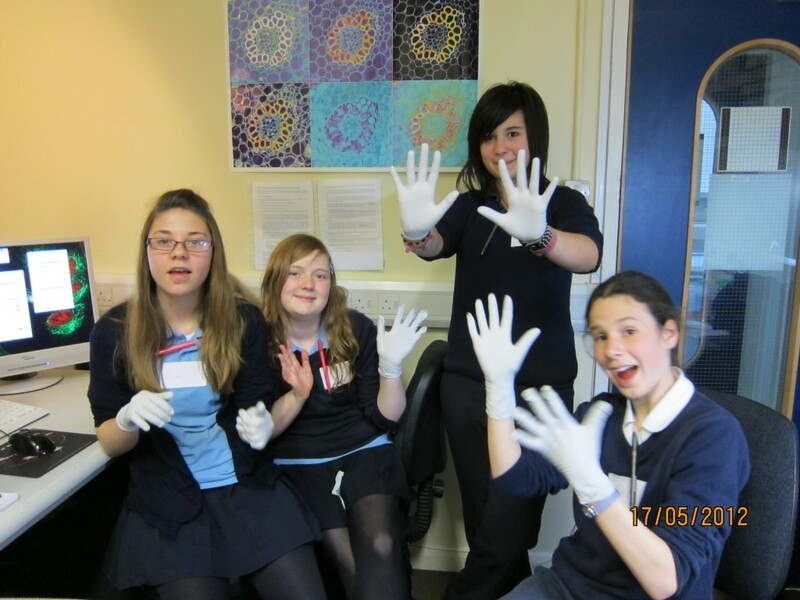 First, we spent quite a while attempting to pull the gloves on – as they are very tight! But cool to wear: they made us feel like real scientists for the day! Looking through the microscopes at small pieces of plants was amazing! The pictures are so detailed, and it was fun! ← So you want to do a science communication project? Lovely, lovely, lovely, definitely lovely! I saw through a microscope 26 years ago to see some muscle cells! And 21 years ago I had my first real experience by myself… then… today I am a plant cytogeneticist! I know how much this important opportunity is! Thank you very much Mateus for leaving a reply to our post!! We’re really enjoying going to the university! Your reply made me and Nicole very happy and excited, and we hope you read our posts in the future! Thank you for your comment, Mateus! Very happy that you enjoyed reading the post and that you were inspired by microscopy to study cells. What are you studying now? I think it is extraordinary that blogs allow a plant professor from Sao Paolo in Brazil to communicate with two school students from Didcot UK! Probably answering very late, but in time: I am working with chromosome structure of plants mainly crops using a technique called FISH – Fluorescent In Situ Hybridization (We can get beautiful pictures!) and immunodtection of histone modifications (Epigenetics) a kind of information that is not inscribed into DNA. The main goal of my research is improve the crop production, sustainability and reduce enviroment impact. Hey! Emilia and Nicole, I read your post! Wow… It’s really cool to be mentioned in a meeting!! We are really enjoying working at Brookes, and understand that this is a fantastic opportunity for us! Thanks for leaving a post for me and Nicole!